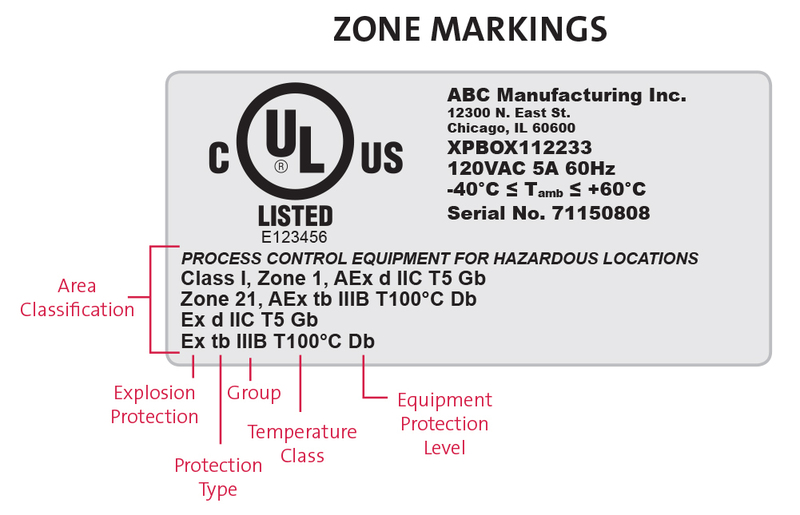 Here is a great article from the UL website in regards to UL and C-UL Classifications for Hazardous Locations, that is helpful. Gain a better understanding of the definition of a Hazardous Location and area classification as well as the UL and C-UL Certification for North America. Location where explosion or fire hazards exist due to the presence of flammable gases, flammable or combustible liquid-produced vapors, combustible dusts, or ignitable fibers or flyings. How are Hazardous Areas Classified? Division 1 – Ignitable concentrations of flammable gases, flammable liquid-produced vapors, or combustible liquid-produces vapors can exist under normal operating conditions. Division 2 – Ignitable concentrations of flammable gases, flammable liquid-produced vapors, or combustible liquid-produces vapors are not likely to exist under normal operating conditions. What is the difference between a Class I, Division 1 Location and Class I, Division 2 Location? What about the differences between the other locations? may exist because of equipment breakdown that simultaneously causes the equipment to become a source of release. Adjacent to a Class I, Division 1 location where ignitable concentrations might be occasionally communicated. Electrically conductive combustible dusts may be present in hazardous quantities. Dust accumulation may be sufficient to interfere with safe dissipation of heat or may be ignitable by abnormal operation. A location in which easily ignitable fibers or materials producing combustible flyings are handled, manufactured or used. A location in which easily ignitable fibers are stored, or handled other than in the process of manufacture. Zone 0 – Ignitable concentrations of flammable gases, flammable liquid-produced vapors, or combustible liquid-produces vapors are present continuously or for long periods of time under normal operating conditions. Zone 1 – Ignitable concentrations of flammable gases, flammable liquid-produced vapors, or combustible liquid-produces vapors are likely to exist under normal operating conditions. Zone 2 – Ignitable concentrations of flammable gases, flammable liquid-produced vapors, or combustible liquid-produces vapors are not likely to exist under normal operating conditions. Zone 20 – Ignitable concentrations of combustible dust or ignitable fibers/flyings are present continuously or for long periods of time under normal operating conditions. Zone 21 – Ignitable concentrations of combustible dust or ignitable fibers/flyings are likely to exist occasionally under normal operating conditions. Zone 22 – Ignitable concentrations of combustible dust or ignitable fibers/flyings are not likely to occur under normal operating conditions. Equipment Protection Level (EPL) – Level of protection assigned to equipment based on its likelihood of becoming a source of ignition and distinguishing the differences between explosive gas atmospheres, explosive dust atmospheres, and the explosive atmospheres in mines susceptible to fire damp. EPL Ma – Equipment for installation in a mine susceptible to firedamp, having a very high level of protection, which has sufficient security that it is unlikely to become an ignition source in normal operation, during expected malfunctions or during rare malfunctions, even when left energized in the presence of an outbreak of gas. EPL Mb – Equipment for installation in a mine susceptible to firedamp, having a high level of protection, which has sufficient security that it is unlikely to become a source of ignition in normal operation or during expected malfunctions in the time span between there being an outbreak of gas and the equipment being de-energized. EPL Ga – Equipment for explosive gas atmospheres, having a very high level of protection, which is not a source of ignition in normal operation, during expected malfunctions or during rare malfunctions. EPL Gb – Equipment for explosive gas atmospheres, having a high level of protection, which is not a source of ignition in normal operation or during expected malfunctions. EPL Gc – Equipment for explosive gas atmospheres, having an enhanced level of protection, which is not a source of ignition in normal operation and which may have some additional protection to ensure that it remains inactive as an ignition source in the case of regular expected occurrences (for example failure of a lamp). EPL Da – Equipment for explosive dust atmospheres, having a very high level of protection, which is not a source of ignition in normal operation, during expected malfunctions, or during rare malfunctions. 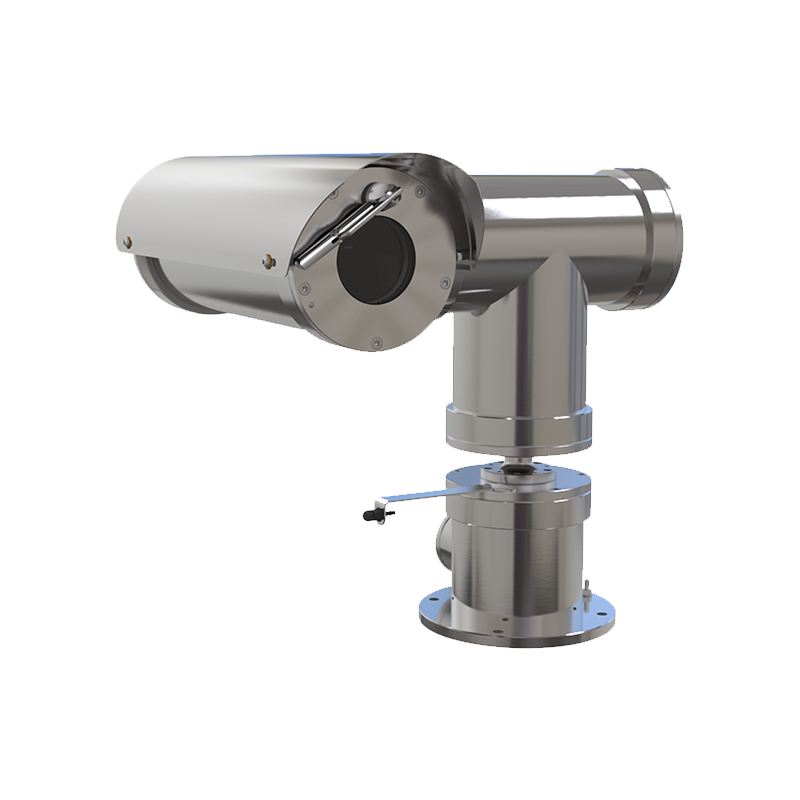 EPL Db – Equipment for explosive dust atmospheres, having a high level of protection, which is not a source of ignition in normal operation or during expected malfunctions. EPL Dc – Equipment for explosive dust atmospheres, having an enhanced level of protection, which is not a source of ignition in normal operation and which may have some additional protection to ensure that it remains inactive as an ignition source in the case of regular expected occurrences (for example failure of a lamp). 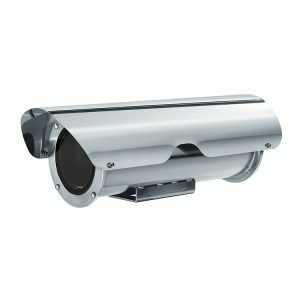 Planning a CCTV installation in a hazardous environment requires careful planning and attention to the different Division and Zone classifications. Classifications are derived from a number of factors and systems as described above. If you are needing assistance with your application, we can help. Ellipse Security is a Authorized Distributor for VideoTec Products as well as Hanwha Techwin Products. Both VideoTec and Hanwha offer a variety of options for Explosion Proof Cameras, Explosion Proof Housings, Stainless Steel Cameras, PTZ’s, Housings and More!